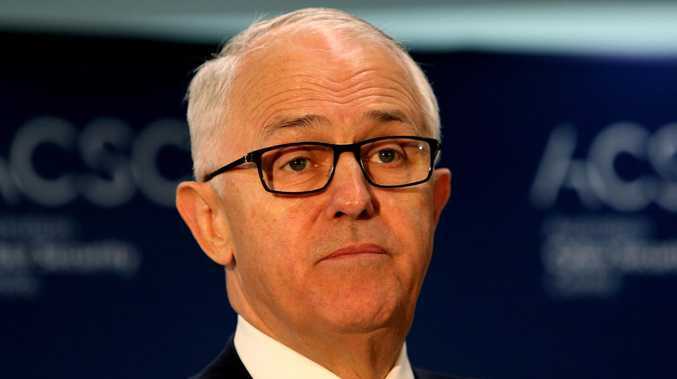 Rumours of a leadership spill against Malcolm Turnbull are swirling amid growing discontent over his signature energy policy. 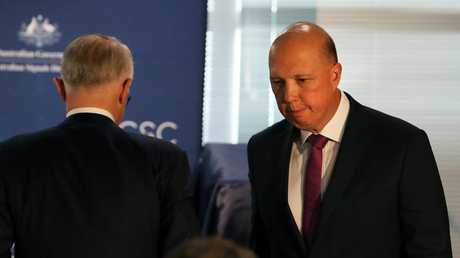 CONSERVATIVE MPs have reportedly urged Peter Dutton to seize the leadership from Malcolm Turnbull, amid growing unhappiness with the Prime Minister's energy policy. "There are only two good outcomes here - either the energy policy is dead and we can go to the election fighting Labor on it, or Malcolm goes," an unnamed MP said. 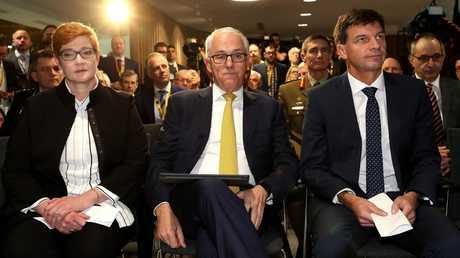 Speaking on Today this morning, Defence Industry Minister Christopher Pyne rejected the rumours as a case of colleagues "trying to put the band back together from the late 2000 and naughties" - a reference to former prime minister Tony Abbott and his supporters. "Peter Dutton … says he does support the Government's policy," he said. "The Cabinet is 100 per cent united behind Malcolm Turnbull and in the party room on Tuesday only four people said that they reserved their right not to vote for the NEG (National Energy Guarantee). There's a lot of hyperventilating going on." Conservative MPs have reportedly urged Peter Dutton to seize the leadership from Malcolm Turnbull. "Dutton is just a glove puppet for Tony Abbott - back there on the backbench causing all of this chaos," he said. 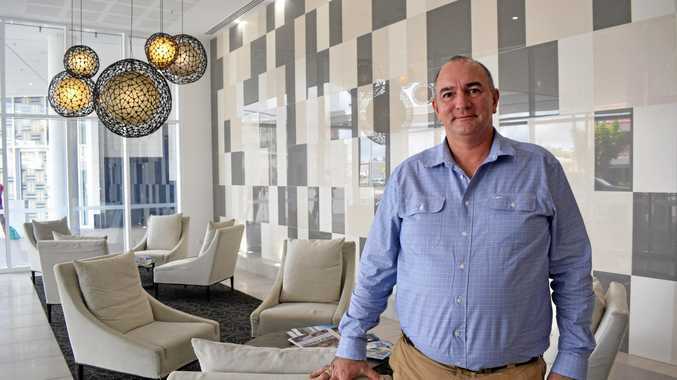 "I give frank advice, I can promise you that, to the Prime Minister, to my other colleagues, if I don't agree with what we're doing or with the policy," he said. "I work as a team player. I'm not going to be a part of the Cabinet and then bag the Prime Minister out. "If my position changes, that is, it gets to a point where I can't accept what the Government's proposing, then the Westminster position is very clear." He said he was going to do his best to "turn these polls around" and "fight 'til election day and beyond" to stop Labor leader Bill Shorten from becoming Prime Minister. Malcolm Turnbull is facing opposition on his National Energy Guarantee proposal from a small group of MPs. Deputy Nationals leader Bridget McKenzie says the focus is on a competition watchdog's recommendation for a default retail price offer, which she says could cut prices by 35 per cent. Labor is also looking at the Australian Competition and Consumer Commission's recommendation for a default retail price offer. Others publicly raising concerns include Eric Abetz, Craig Kelly, Tony Pasin, Barry O'Sullivan, Kevin Andrews and Andrew Gee, while Barnaby Joyce wants to see specific amendments.